For successful summer holidays in the mountains, book your accommodation to Cauterets in Pyrenees massive, Hautes Pyrénées. This mountain resort will offer you exceptionnal areas and surprising landscapes. 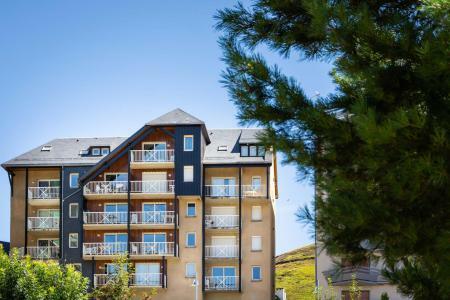 Your summer accommodation to Cauterets will be for you a moment of wellness in the heart of a beautiful nature and you will spend holidays in wide open spaces. Our moutain offers will make you live warm emotions with all your family. We propose you quality holidays accommodation in all French massives, in the heart of mountains. 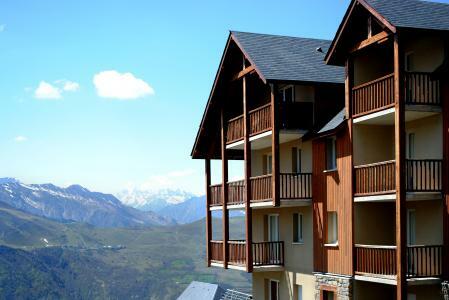 We have many residences to rent for your summer to Cauterets. Let yourself be carried by a feeling of happiness, enjoy the summer holidays in the mountains full of sun and discoveries ! 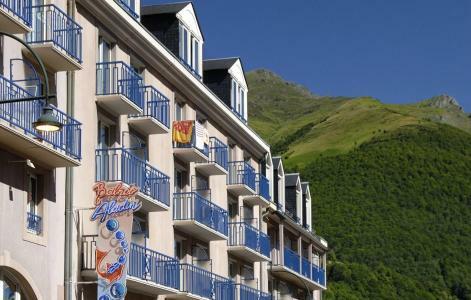 The hotel and the residence Balnéo Aladin are situated right in the centre of Cauterets, 150 m from the thermal baths. With their 5 floors and lift, they form a truly modern complex 3*. The Well-being facilities are closed from 06/05 to 31/05/2019. Residence with 58 apartements in 9 chalets. Builted with traditional style : wood and stone on the walls... 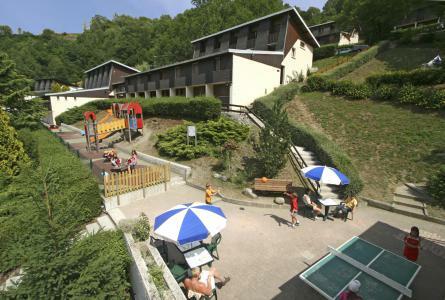 The residence "Les Chalets d'Estive" is located at 400 m of the shops. This residential complex Lagrange is composed of 3 buildings of 5 levels with lift. Residence with the genuine feel, whose volumes, forms and materials (wood, stone, slate) remain the pyrenean tradition. You will appreciate the swimming pool, the jacuzzi, and the fitness area. 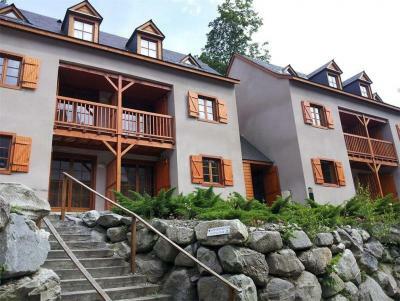 "Le Domaine des 100 Lacs" is situated at about 500m from the thermal center and 1000 m from the resort center of Cauterets. 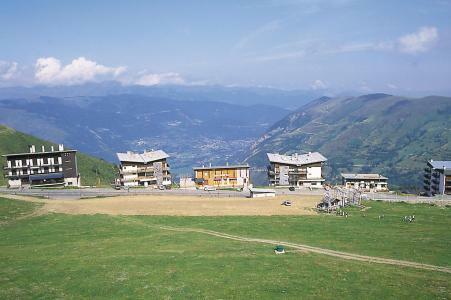 Situated close to the shops the Hameau de Balestas is situated in Peyragudes resort (Peyresourde). 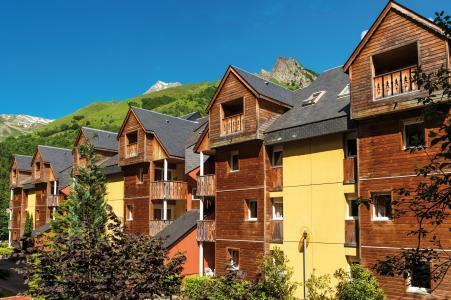 It comprises a terrace of 6 chalets built in Pyrenean style and 3 other buildings which azre divided by districts : La Belle Sayette, Les Abellans, Le Forum, Le Val d'Esquierry. The residence le Hameau de Balestas is situated in town of Peyresourde in Peyragudes. It is located 500m from slopes. You have access to the Spassio swimming pool in the resort. The residence Les Terrasses de Peyragudes is situated in Peyresourde village area. Restaurants, bars and shops at about 600m. Access directly to slopes with free shuttle.